The Fashion Princess: Pied-de-Poule..mon amour! If you think the Pied-de-Poule is a fabric too eccentric to show off, then think again .. Straight from the '50s the catwalks have raised more colors: in addition to the classic black and white, the designers have revived in brown, blue, red, yellow and green. 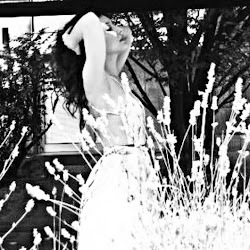 I'm still fond of the classic black and white ... and you? Se pensate che il Pied-de-Poule sia un tessuto troppo eccentrico da sfoggiare, allora dovete ricredervi.. Direttamente dagli anni '50 le passerelle lo hanno rilanciato in più varianti cromatiche: oltre al classico bianco e nero, gli stilisti lo hanno riproposto in marrone, blu, rosso, giallo e verde. Io rimango comunque affezionata al classico bianco e nero...e voi? Non amavo molto questo tipo di stampa ma devo dire che ora comincia a piacermi!! I love Pied-de-Poule. Great choice of picture. 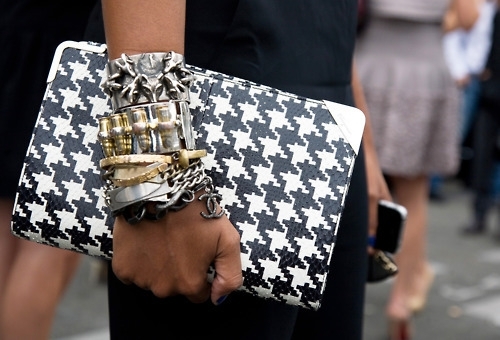 I call us houndstooth, and absolutely love the graphic nature of the print - cannot Wait to see it on more accessories! Un classico evergreen très chic!!!! A me piace in versione pastello - forse è meno grintosa, ma decisamente più facile da indossare. I am a huge fan of black and white and houndstooth just elevates that ever higher. Beautiful pictures, great inspo.